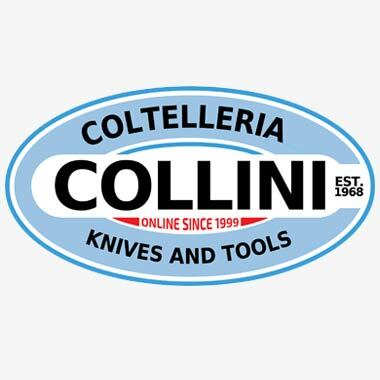 The Coltelleria Collini, founded in 1968 in Busto Arsizio, is specialised from over 40 years in cutlery and household articles and offers its clients a wide range of high quality products and of the best brands. 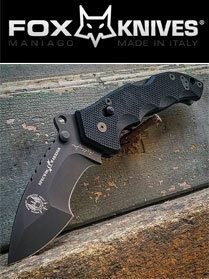 Thanks to an inner workshop and to the skill and experience of its owners in sharpening blades of all types, (scissors, all kind of knives, clippers, etc...) the Coltelleria Collini is a reference for privates and professionals who want to purchase efficient and extremely sharp tools. Our store is located in the city of Busto Arsizio, near Milan and Malpensa international Airport. 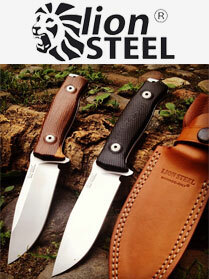 Coltelleria Collini offers a variety of products for camping, hunting and other outdoor activities. We are italian importers and retailers of many flashligh LED brands and we also have a lot of kitchen tool and products to make beautiful cakes and cookies. 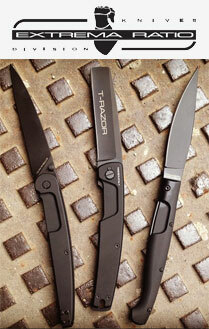 We are especially proud of our knives selection, consisting of more than 2000 sports knives and more than 700 professional and kitchen knives. Being present on the internet, the Coltelleria Collini aims today at meeting a wider range of clients, serving them in the best way possible, seriously and professionally. Nach dem Versenden jeder Bestellung erhalten Sie automatisch eine Sendungsverfolgungsnummer. Vorrätige Artikel werden gewöhnlich innerhalb von 24 Stunden nach Zahlungseingang versandt. Sie können unbenutzte Artikel in der Originalverpackung innerhalb von 14 Tagen zurückgeben. Sie können das Produkt umtauschen oder sich den Kaufpreis erstatten lassen. Sie bekommen den Kaufpreis zurückerstattet, Versand und ggf. Steuern werden von uns übernommen. Der Rückversand und die Bearbeitungskosten werden nicht zurückerstattet. Rückerstattungen erfolgen in derselben Form wie die Zahlung. Bitte kontaktieren Sie uns, bevor Sie Artikel zurücksenden. Beachten Sie bitte, dass wir Sie ggf. bitten, uns Bilder beschädigter oder fehlerhafter Artikel (per E-Mail) zuzusenden. Sie werden auf die Seite unseres Zahlungsabwicklers Banca Sella, um den Zahlungsvorgang abzuschließen. Sie können Ihre Bestellung auch per PayPal bezahlen. Sie werden auf die PayPal-Website weitergeleitet, um den Zahlungsvorgang abzuschließen. Melden Sie sich bei Ihrem PayPal-Konto an, um den Zahlungsvorgang abzuschließen. Herkömmliche Banküberweisung, bei der der Kaufbetrag vor der Auftragsbearbeitung auf das Bankkonto des Verkäufers überwiesen wird. Die Überweisung kann 2-4 Werktage innerhalb der europäischen Union und 4-6 Werktage von anderen Ländern dauern. The submission by you to coltelleriacollini.it of personally identifiable information (e.g., your name, your address, your e-mail address, your telephone number, etc.) may be required in order for you to receive certain services, products or information you request from coltelleriacollini.it — and some personally identifiable information is required in order to sign up for a Coltelleria Colliniaccount. Your e-mail address is used only to contact you about our business and will never be given for anyone else to use. The security of your personal information is a primary concern here at the Coltelleria Colliniof the Internet. The information that you share with us is not given to or shared with anyone else for any reason except U.S. law enforcement agencies which may, through legal action, require information from us. If you give your consent, you may receive information from us by e-mail, U.S. mail or other means. However, if we do not have your express consent, our policy is to not use your personally identifiable information, except as provided below. In certain locations on this Web site in which we obtain personally identifiable information from you, we may include “check boxes” for the purpose of soliciting your consent to receive special offers and other information from coltelleriacollini.it. By leaving these check boxes “checked,” you are choosing to receive commercial e-mail communications from coltelleriacollini.it. In that event, you will have the opportunity at any time to “opt-out” of receiving future commercial e-mails from coltelleriacollini.it either by following the instructions located at the bottom of the e-mail we send you or in your Coltelleria ColliniAccount Preferences Page. "Cookies" are small data files that many Web sites write to your hard drive when you visit them. A cookie file contains information such as a user ID that a site may use to track the pages you've visited. However, the only personal information a cookie can contain is information you supply yourself. Cookies served by coltelleriacollini.it don't permit coltelleriacollini.it to read data from your hard drive or read cookie files created by other Web sites. If your browser is not set to accept "cookies", then you will not be able to use our shopping cart feature. With Internet Explorer 5.0+, if you go into "security" (under tools menu and internet options) and then click on "Custom Level" you can manually adjust cookie acceptance without changing your basic security setting. That way if you are a user who requires a high level of security, you can manually choose to accept cookies without changing your overall browser security settings. With Firefox 1.0+, go into "options" (under tools menu) and go to the Privacy Button. There, you will see the option to allow sites to set cookies. Check this box to allow cookies to be set. 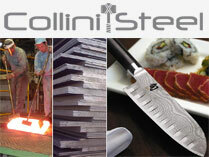 coltelleriacollini.it offers free electronic newsletters that are dispatched by e-mail. coltelleriacollini.it gathers the e-mail addresses of individuals who voluntarily subscribe. Individuals may subscribe, and subscribers may remove themselves from one or more of our mailing lists, through the Newsletters Page. coltelleriacollini.it delivers newsletters, and marketing and product offerings promoted in newsletters, by e-mail only to registered recipients. coltelleriacollini.it reserves the right to change this Privacy Statement at any time. Please check this page periodically for changes. Your continued use of this Web site following the posting of changes to these terms will mean you accept those changes. Information collected prior to the time any change is posted will be used according to the rules and laws that applied at the time the information was collected.